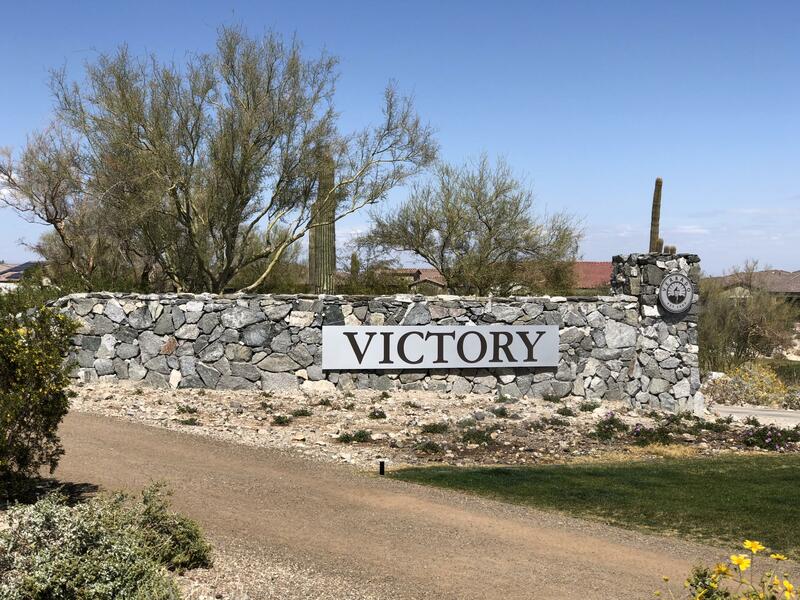 All Verrado Victory District homes currently listed for sale in Buckeye as of 04/19/2019 are shown below. You can change the search criteria at any time by pressing the 'Change Search' button below. 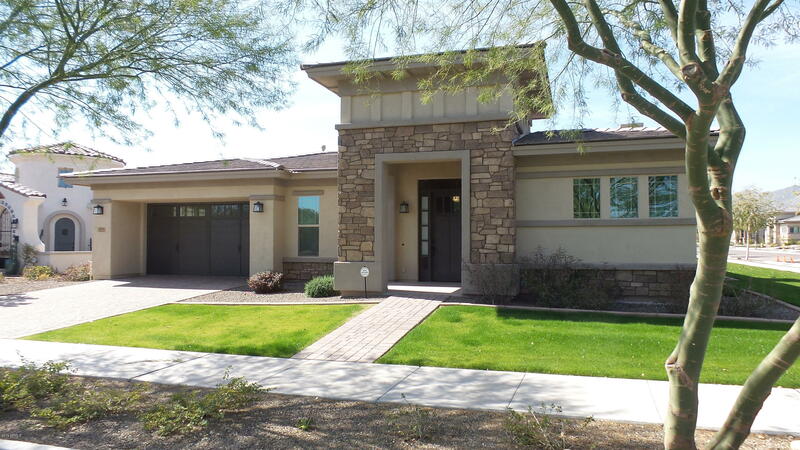 "This gorgeous 3 bed 2 bath home in luxurious golf community of Victory at Verrado. This is an exquisite adult community nestled in the white tank mountains. Amazing mountain views of the Sonoran desert landscape. 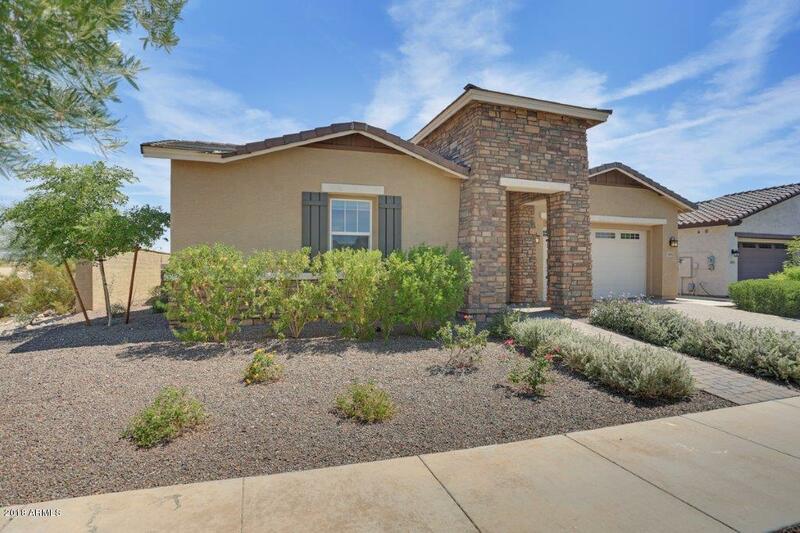 Home has all the upgrades including upgraded tile and Ethan Allen carpet throughout. Upgraded granite in kitchen and baths. Dark cabinets and all stainless steel appliances. Sub zero refrigerator and washer and dryer included . 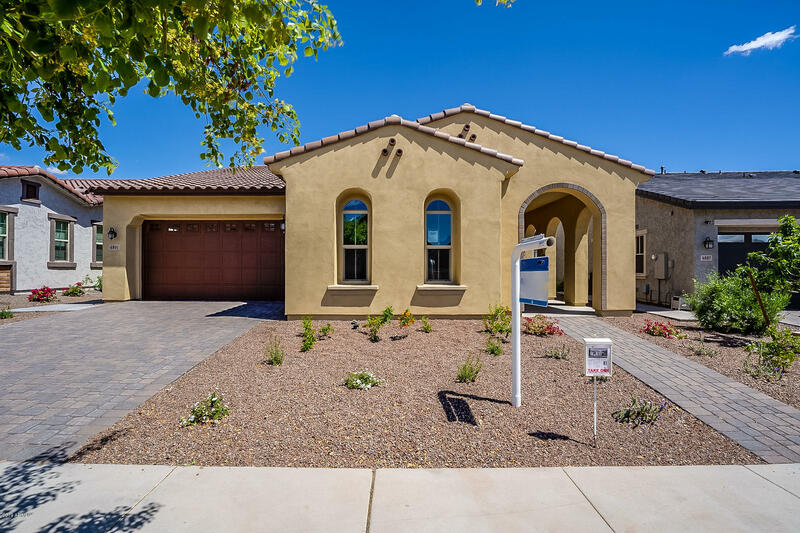 Home offers a full alarm and camera security system and hig"
"OWNED SOLAR - This one of a kind Pathfinder floor plan features a split floor plan with 2 Master Suites (both complete with separate tub and showers), 3rd bedroom, 3rd full bath, powder room and an office/den. The private courtyard welcomes you and as you enter the residence there is a open feeling you get with the large great room. The inside features a gourmet kitchen with all the right amenities, plus an oversized island that is perfect for entertaining as well. 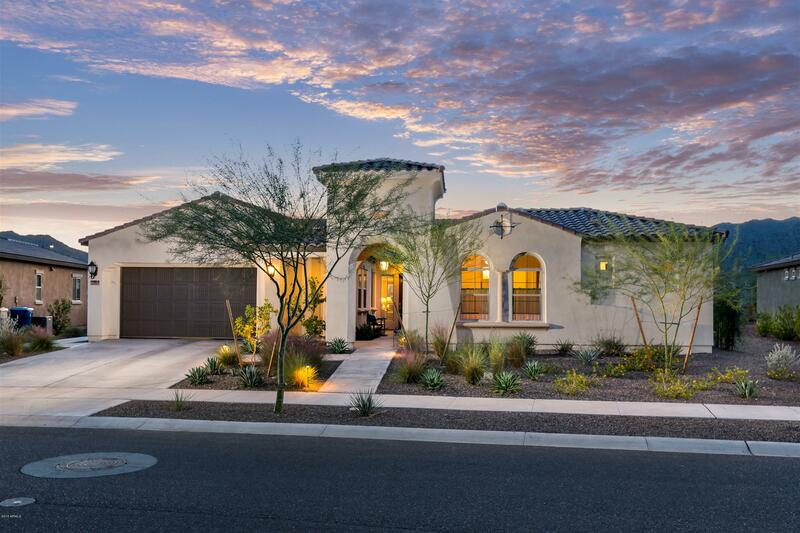 The morning sun will greet"
"Stunning single-story home in the desirable community of Victory in Verrado! This home boasts over 2600 square feet. 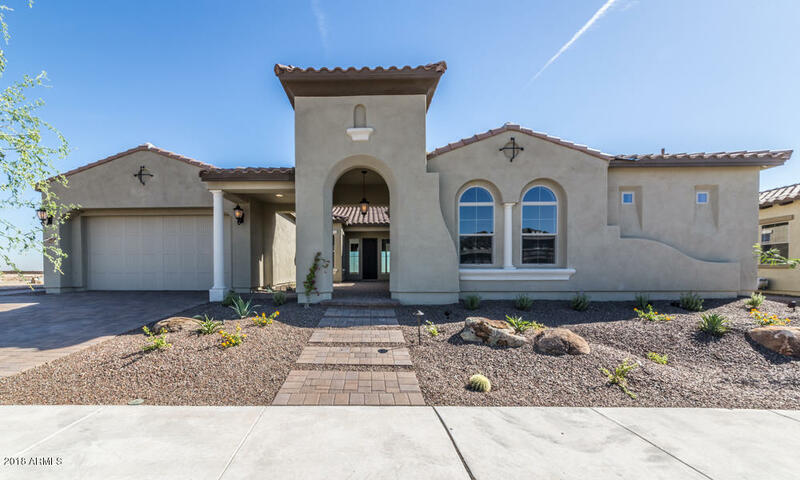 Enter into a grand 2-story foyer, bright, open floor plan, crown molding & custom trim throughout & porcelain tile flooring. A chef's kitchen with granite countertops, oversized island & double ovens completes this dream space. The master retreat includes a sitting area & stunning master bath with separate his/her vanities, large shower with separate garden tub & walk-in closet. " "This beautiful home features light Kitchen Cabinets paired with Bianco Antico Granite & Wood-Look Tile, Alternate L-Shaped Kitchen with 12' Sliding Glass Door & Extended Kitchen Island, Box Bay Window at Master Bedroom with door from Expanded Walk-in Closet to Laundry Room, Dual No-Step Master Shower with upgraded Tile, Venetian Pebbles, 2 Niches & Benches, Casita with 12' Sliding Glass Doors & Tile throughout, Fireplace at Covered Patio, 4 ft. Garage Extension, Fully Landscaped backyard & inc"
"This beautiful home features Kitchen Cabinetry Upgraded in neutral off-white painted ''Silk'' & Extended Kitchen Island with Kalahari Granite & Moroccan inspired arabesque motif kitchen backsplash , Granite top at Master Bath, Zero Step Walk-In Master Shower, Expanded Walk-In Closet, Pre-plumbed for future Laundry Sink, Stylish Rasato Beige 12''x 24'' Floor Tile, Two Tone Custom Interior Paint, Paver Driveways & Walkway, Fully Landscaped backyard, Privacy walls with 4' gate included with so mu"
"PURCHASE THIS HOME ON OR BEFORE APRIL 30, 2019 & CLOSE ESCROW BY JUNE 14, 2019 TO RECEIVE A GE REFRIGERATOR AND GE WASHER & DRYER! This beautiful home features a Gray themed Kitchen Cabinetry paired with leathered Monte Cristo Granite & Wood-Look Tile, L-Shaped Kitchen with 12' Sliding Glass Door & Extended Kitchen Island, Box Bay Window at Master Bedroom with Expanded Walk-In Closet, Casita with 12' Sliding Glass Doors & Tile throughout, Surround Sound Pre-wire at Great Room & Patio, Fireplace"
"PURCHASE THIS HOME ON OR BEFORE APRIL 30, 2019 & CLOSE ESCROW BY JUNE 14, 2019 TO RECEIVE A GE REFRIGERATOR AND GE WASHER & DRYER! Spacious Floor plan located next to amenities and hiking trails. This beautiful home features Kitchen Cabinetry Upgraded in Painted ''Silk'' with Over sized Kitchen Island, Stainless Steel Appliances & Stylish Wood Look Floor Tile & 18' Ceiling in Foyer. 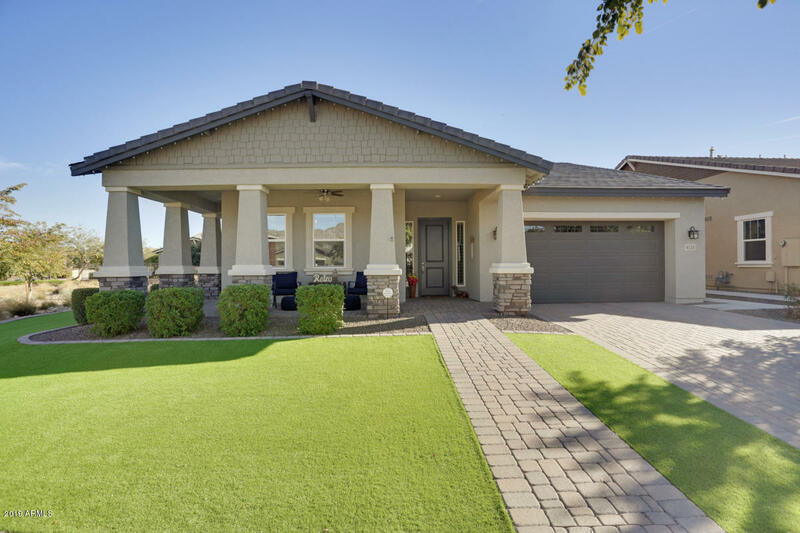 12' Sliding Glass Door at Great Room, Two Tone Custom Interior Paint...Includes Guest Suite & Den, Extended Gar"
"A home that is perfect for multi-generational living or just for guests. The Next Gen Suite provides flexibility with a kitchenette, bedroom, bathroom and living space!A PUBLIC REPORT IS AVAILABLE ON THE STATE REAL ESTATE DEPARTMENT'S WEBSITE." 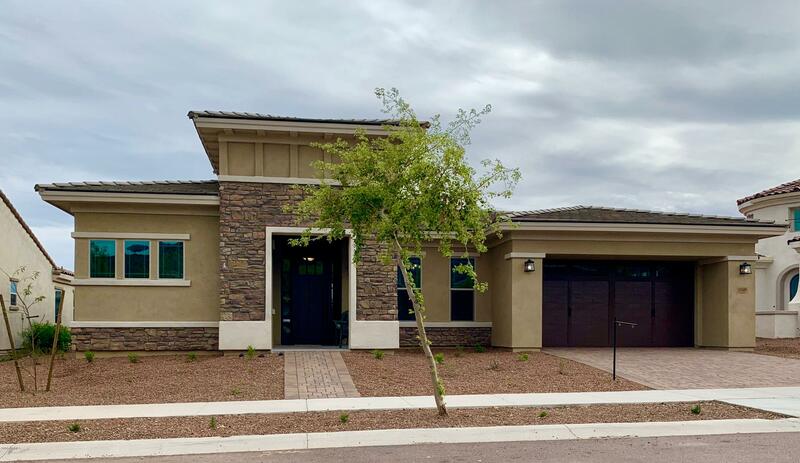 "PURCHASE THIS HOME ON OR BEFORE APRIL 30, 2019 & CLOSE ESCROW BY JUNE 14, 2019 TO RECEIVE A GE REFRIGERATOR AND GE WASHER & DRYER! 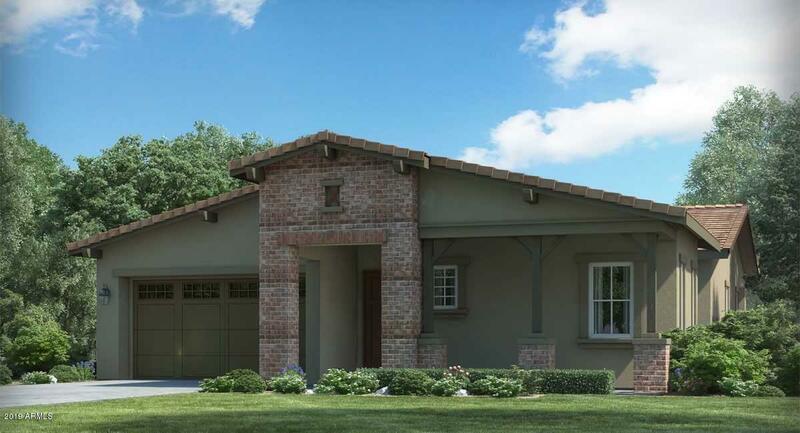 Cozy Porch overlooking Park and Green Common Areas, this beautiful home features an Outdoor Covered Patio with Wood Beams and Fireplace at Loggia next to Casita. Kitchen Cabinetry is Upgraded in Painted ''Linen'' with Extended Kitchen Island, Stainless Steel Appliances & Stylish Wood Look Floor Tile & 12' Ceiling. No-step Shower in Master Bath. 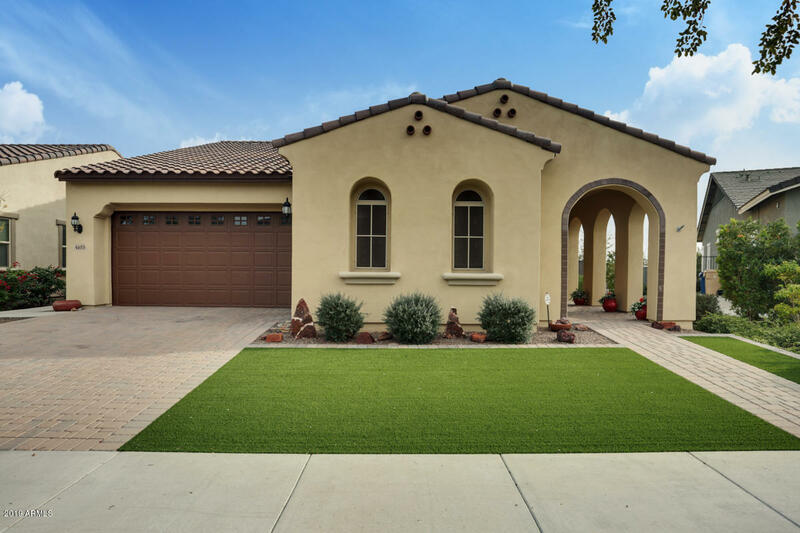 Two Tone Custom I"
"Gorgeous Next Generation home with luxury upgrades. Upgraded kitchen in the main home with Electrolux appliances including the refrigerator. In the next generation suite upgraded kitchen that includes microwave, dishwasher, refrigerator and washer and dryer. Suite has separate entry to home. Upgraded flooring tile and carpet throughout home.A PUBLIC REPORT IS AVAILABLE ON THE STATE REAL ESTATE DEPARTMENT'S WEBSITE." 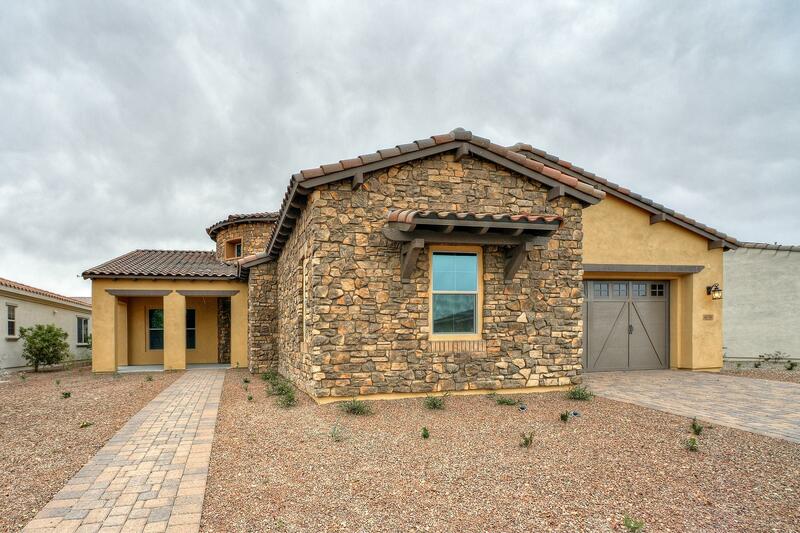 "GOLF COURSE HOME at VICTORY with FAIRWAY, MOUNTAINS, and CITY LIGHTS VIEWS! 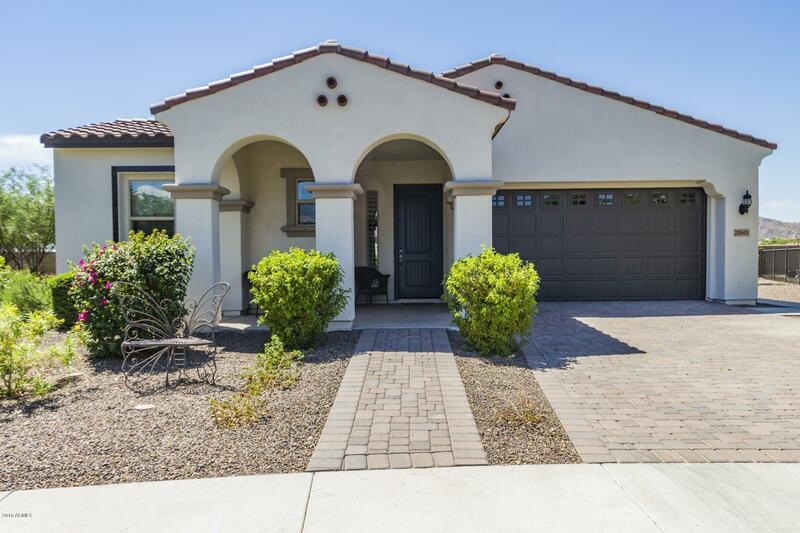 From the curb appeal to interior features, this home has all the right upgrades: cabinets, granite counters, stainless steel appliances, plantation shutters, ceiling fans, large baseboards, fireplace and speakers on rear patio, custom closet system at master bedroom, and much more. 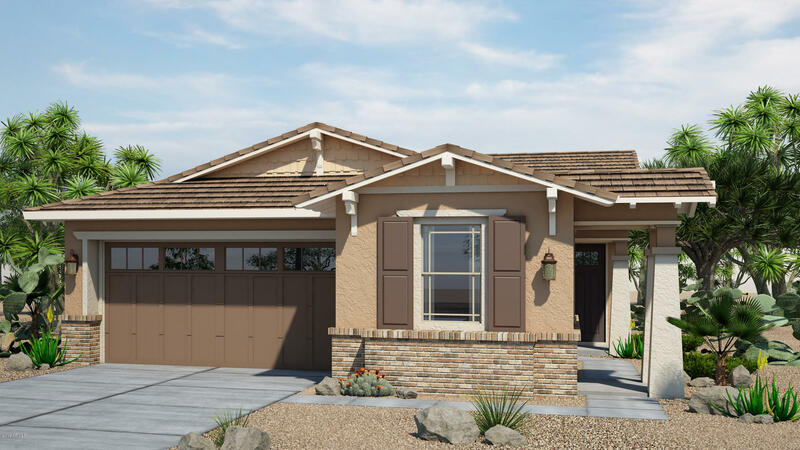 Enjoy the fun active 55+ lifestyle at Victory at Verrado with 4 pools, 7,000 square feet of fitness, art classes, pickleball, and more!" 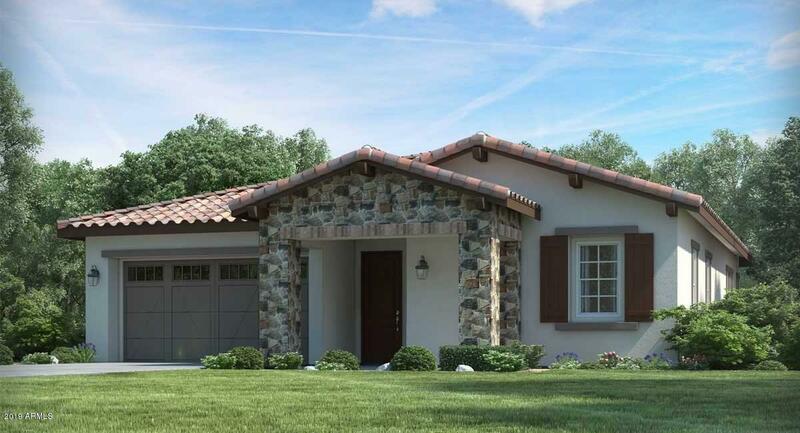 "Cal Atlantic Model home has over $100,000 in upgrades inside the home. Front and backyard contains mature landscape with a built in bbq, fireplace, and fountains. Truly a one of a kind homes!A PUBLIC REPORT IS AVAILABLE ON THE STATE REAL ESTATE DEPARTMENT'S WEBSITE." 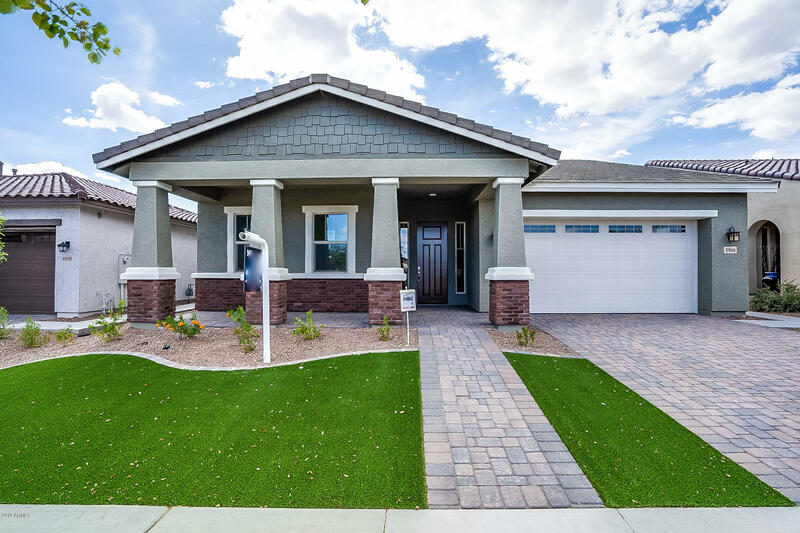 "This Lennar Pinnacle NextGen ''home within a home'' features 2 bedrooms, 2 1/2 baths, den, 2-bay garage with extra storage space at the rear of the garage and covered patio. The private NextGen Suite, with both an inside and a separate, exterior entrance, includes a kitchenette, living room and a bedroom suite with walk-in closet and private bath. It's terrific for guests or for live-in family members! Key selected options include a Designer Kitchen and Super Luxury Flooring. This open, airy flo"
"From the front porch where you can sit & enjoy a beautiful mountainside view to the backyard outdoor living with the likes of a BBQ Grill, Smoker, Fridge and an enjoyable Putting Green. 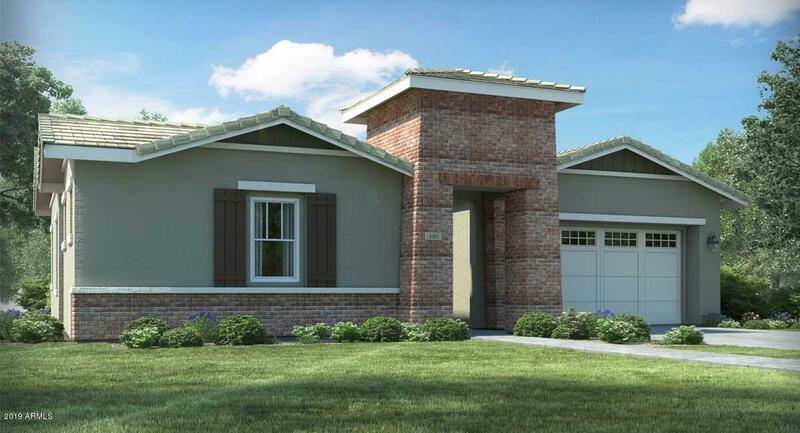 This beautifully kept Lennar Spire, 2 Bedroom, 2 Bath home (See f/p under Document tab. ), includes a Den/Office, a Dining area adjacent to the Great room, an Eat-in Kitchen w/Granite countertop & large Kitchen island. Nestled in the foothills of the White Tank Mountains, this is one of the few homes you'll find i"
"BEST VALUE IN VICTORY! This spacious corner-lot home. 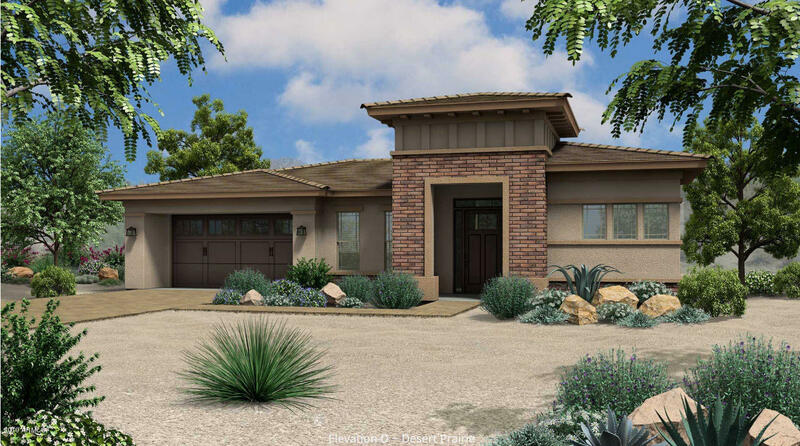 It boasts a 5' extended great room floorplan, includes 2 bedrooms 2 baths, office/den, large kitchen and nook, and wrap-around patios front & rear. 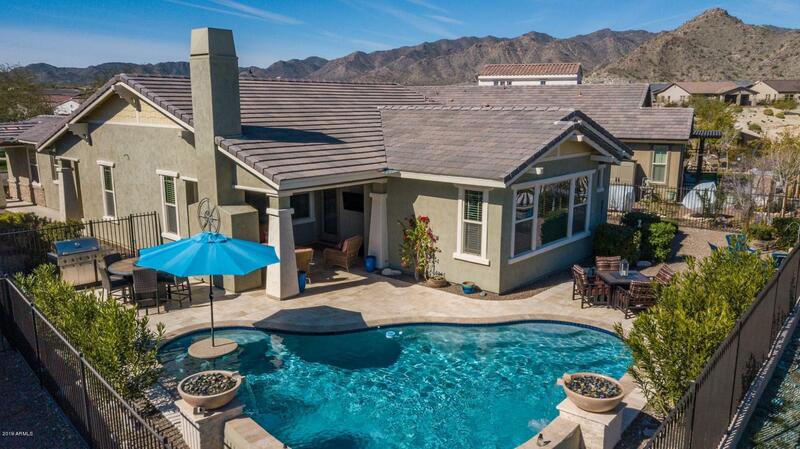 Located on a premium corner lot with mountain views, enhanced by open-space view. 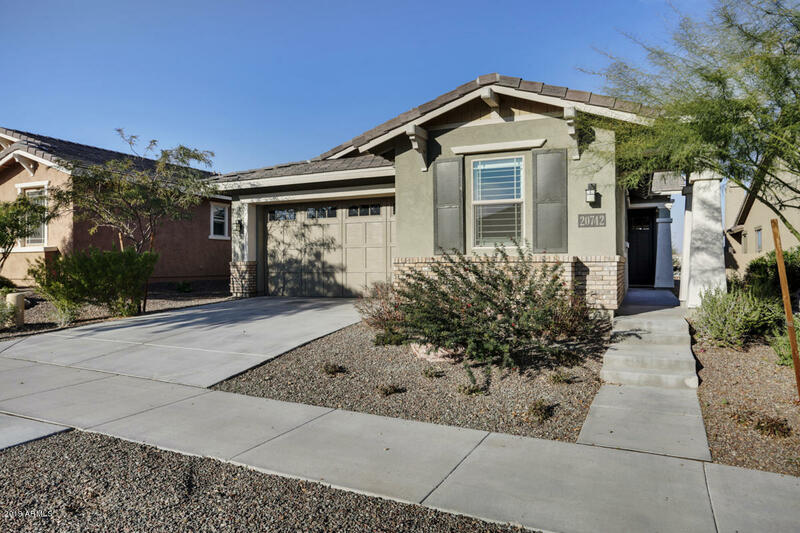 The owners wisely chose several upgrades and options: staggered kitchen cabinets, gorgeous granite counters, custom shutters/window coverings, stainless steel appliances, beautiful tile, plus more! Other details are "
"Don't miss this oversized corner lot BEAUTY with heated pool and AMAZING mountain and sunset views.One of the most popular floor plans in Victory, Crest model has 2 bedrooms plus Den/Office with side courtyard.This stellar home has all the upgrades from the wood plank tile floors, to the chefs kitchen with white quartz counters throughout, gas cooktop and wall oven.The upgraded master bathroom features a tiled walk-in rain shower.Master bath is attached to a walk in closet that connects to the u"
"Welcome to Victory at Verrado. 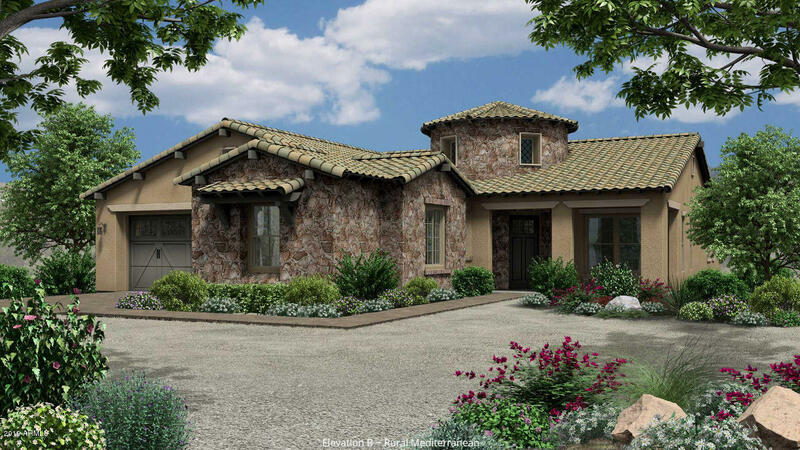 Gorgeous Golf Course Planned Community & Home on a Premium View Lot! Open floor plan, soothing palette, beautiful tile floor, ceiling fans, window blinds, and upgraded lighting. 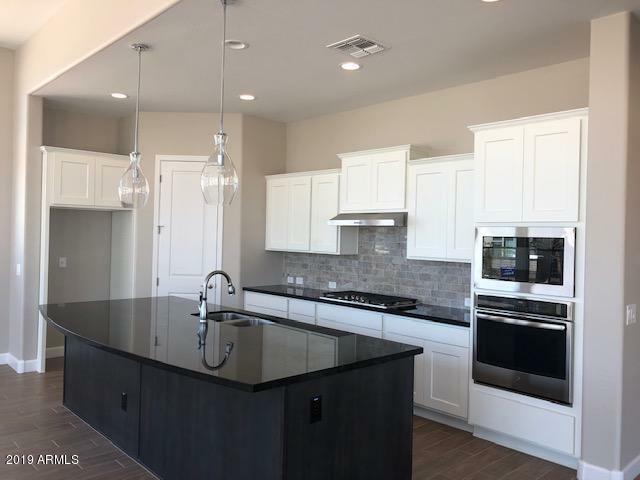 Large kitchen center island, breakfast bar, granite counters, subway tile backsplash, SS appliances, pendant lighting, pantry, and white wood cabinets w/hardware. Perfect Home for entertaining inside & out. 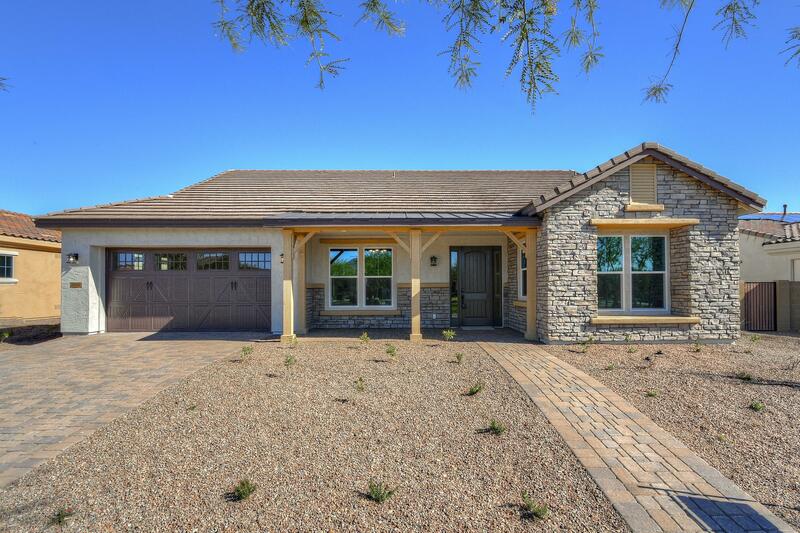 Nice Den or 3rd bedroom w/custom barn door, upscale baths, ample closets, & genero"
"Gorgeous new build home in Victory on a walking trail and some mountain views. Upgraded kitchen with Electrolux appliances. Open floorplan with enclosed den. Upgraded flooring throughout and luxury bathrooms. A PUBLIC REPORT IS AVAILABLE ON THE STATE REAL ESTATE DEPARTMENT'S WEBSITE." "Nice open floor plan with 10' ceilings. Upgraded gourmet kitchen with S/S Electrolux appliances. Upgraded bathrooms with rain shower in master bath shower. Upgraded tile and carpet throughout home. Block fencing in back for privacy. A PUBLIC REPORT IS AVAILABLE ON THE STATE REAL ESTATE DEPARTMENT'S WEBSITE." "Living, loving and enjoying every day...this BRAND NEW single level home offers both beauty and function inside and out. The 2 bed, 2 bath with study and 2 car garage open plan is highlighted by 10' and 12' ceilings allowing abundant natural light through the large, energy-efficient windows. Feel like a chef? This gourmet kitchen boasts an oversized granite island, accent tile and lighting, designer-selected tile flooring and GE stainless appliances. Need to relax and unwind? Enjoy a short w"
"Gorgeous home on a walking trail. Upgraded kitchen, bathrooms and flooring. 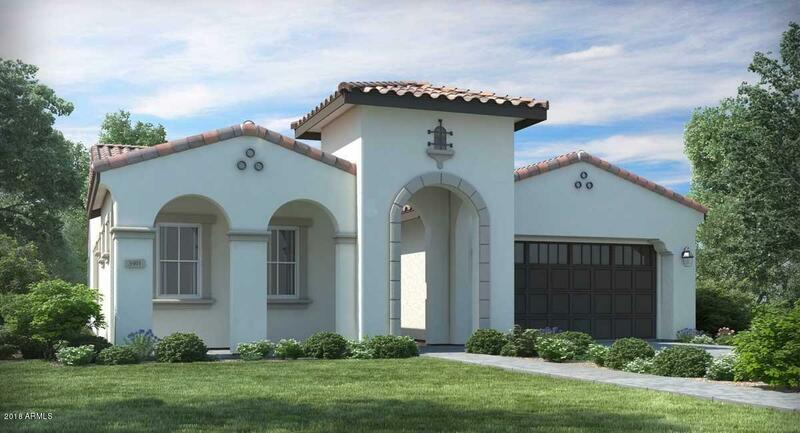 This home offers a 2 car garage and a separate garage for a golf cart or extra storage. A PUBLIC REPORT IS AVAILABLE ON THE STATE REAL ESTATE DEPARTMENT'S WEBSITE." "Beautiful new home in Victory. Upgraded kitchen with Electrolux stainless steel appliances. Upgraded luxury baths and flooring. Walking trail with some mountain views.A PUBLIC REPORT IS AVAILABLE ON THE STATE REAL ESTATE DEPARTMENT'S WEBSITE."